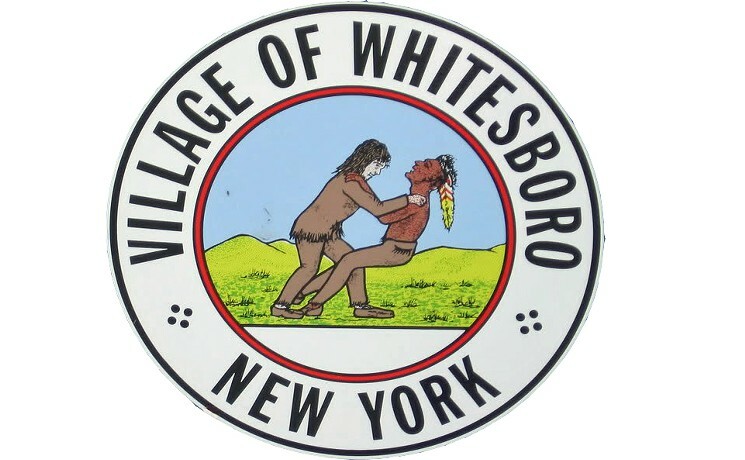 Citizens of Whitesboro, New York will hit the polls Monday, January 18 to vote on whether to change an off-putting village seal that depicts a white settler strangling a Native American. Voters will have eight to ten options to choose from if they decide to change the seal. Whitesboro officials kicked off the New Year by sending out postcards to the village’s 3,000 residents, alerting them of the vote. There has been this nationwide controversy over the logo. Surrounded by the town’s name, the round logo at the heart of the controversy shows two men grappling against a grassy horizon. The man with the upper hand, so to speak, has chalk-white skin and flowing hair. His mouth is clenched in determination, and he is wearing tan garments. The dark-skinned man in his grasp is not wearing a shirt but has a feather in his close-cropped hair. His mouth is open in anguish, and he seems ready to collapse. The seal has changed from several years ago so that the settler’s hands are on the Indian’s shoulders and not his neck. The logo dates back to at least the 1900’s. Tand in the original version depicts the White man’s hands placed on the neck of the Native American. In the 1970’s the village was sued over the depiction by an Indian group, which found it offensive. The seal was changed so that it did not imply strangling. Whitesboro’s demographic makeup makes the name of the town sound realistic. City-data.com says 94.3 percent of the village’s 3,735 residents in 2013 were white, with only five Native American residents. Whitesboro has had a large white percentage in the community since the 1900’s. The name, however, is derived not from its racial composition, but from its founder Hugh White, who settled in the area in 1784. The Sandy Springs, Georgia- native went on to say that the logo promotes racism. Rhymes who is of Native American decent feels insulted by Whitesboro’s logo. She said if she were a citizen in Whitesboro, she would vote to change the logo to a more family-oriented, positive image. The seal is displayed on village stationary, police cars and the village website, among other places. Next Next post: Is Hillary Clinton sincere about her motives as a Presidential candidate?